It was the skeletons that apparently had four legs or three arms that startled the archaeologists, not the mere fact of finding masses of human bones in the back yard of one of London's most famous teaching hospitals. In 2006 archaeologists from Museum of London Archaeology stumbled on evidence of a grim chapter in the history of the London Hospital and other hospital – the decades when the corpses of executed criminals were the only legal source of bodies to teach surgeons anatomy. In the early 19th century there was a problem: the number of crimes meriting a death sentence fell sharply. The gap was filled by corpses dug up by grave robbers, or in the case of the London Hospital the unfortunate poor who died in its wards, and in the most infamous cases by murder. In the 19th century the London Hospital had had a burial ground, neatly marked on later maps, but the archaeologists were digging in unmarked ground where there was no record of burials. The bones had been neatly buried in long since rotted coffins, in the Christian east-west alignment, but they were a bizarre jumble of skulls with the crowns neatly cut through like the top of a hard boiled egg, bones wired for teaching, or bones clearly dissected rather than cut through in operations, and animal bones including dogs, tortoises and a guinea pig. Altogether they uncovered 262 burials, but in the confusion of different remains in the same coffin, layers of burials which had slumped down together into the ground, and many missing skulls, hands and feet, they may have found the remains of up to 500 individuals. It took the archaeologists years of poring over hospital records – those for the London on either side of a crucial date, the Anatomy Act of 1832, were missing – and contemporary newspaper accounts, pamphlets, medical and social history collections, even ballads and broadsheets, to understand what they had found. The site was a covert burial ground where the unfortunates who died in the hospital, having been dissected illegally in the adjoining anatomy school, were buried by night. 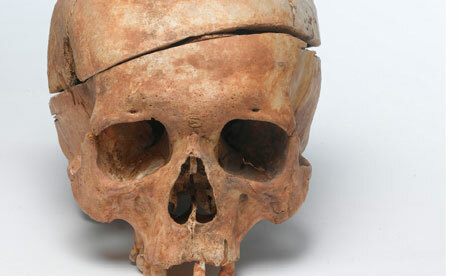 The excavation has inspired the new exhibition at the Museum of London, as gruesome as any Halloween horror film. The terror inspired by grave robbers is vividly reflected in objects such as an extraordinary patented locking iron coffin, from the vaults of St Bride's church, designed so that once it was closed it was almost impossible to open again. Few were wealthy enough to afford such protection. The exhibition includes some of the bones found at the London, and also remains of grave robbers who themselves ended by being executed and handed over to the medical schools. There is a fragment of the brain of William Burke, partner of William Hare – the legendary Edinburgh grave robbers who turned to murder to obtain bodies more conveniently. 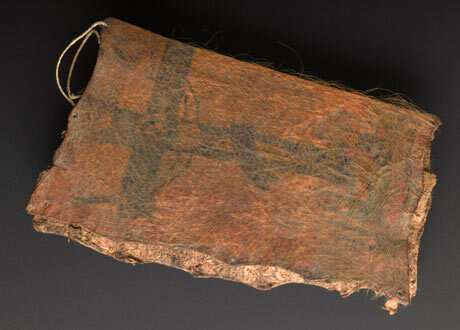 There is also tattooed skin of either Thomas Williams or John Bishop, whose case was even more notorious in London. The case of "the Italian boy" – probably a poor young cattle herder whom they captured at Smithfield – provoked such outrage that it helped bring about the Anatomy Act which ensured a supply of legal bodies. This introduced a new terror for the poor who knew that if they died in hospital and their families could not afford to claim and bury them, the anatomists would have them. 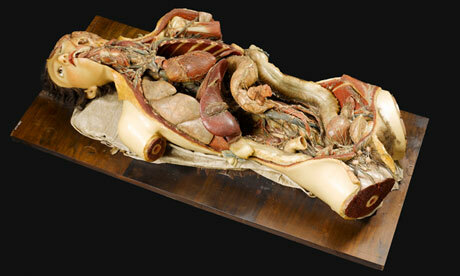 In the 1820s the London Hospital's surgeons would have regarded themselves as fortunate. They did not need to buy from the body snatchers. Enough of their patients died, including previously healthy strong men in the prime of life injured on ships or at the nearby docks, far from home and unclaimed, to provide them with a ready supply. The hospital evidently had so many bodies that they were able to sell the surplus to other hospitals, but their own burial ground was targeted by body snatchers. In 1823 the prison governor, William Valentine, reported that patients were woken by strange sounds in the night, and saw men trying to dig up a body buried immediately below their ward windows: the terrified patients raised enough uproar to frighten off the grave robbers. In 1832 one of the most intriguing characters in the story, a man called William Millard, was arrested in the burial ground. He was charged with vagrancy – since he had not actually got around to digging up any bodies – and eventually died in prison. His enraged wife Anne was a formidable character who petitioned parliament, and not only published a pamphlet called "An account of the circumstances attending the imprisonment and death of the late Mr William Millard" but bought a printing press to do so. She continued to insist after his death what he claimed in life, that he was not a grave robber but had been transporting bodies with the tacit sanction of the hospital. Millard, it seems, may not have come to dig up a body, but to collect one from the back door. • Doctors, Dissection and Resurrection Men, Museum of London, 19 October until April 2014. The Guardian is the media partner for this exhibition.